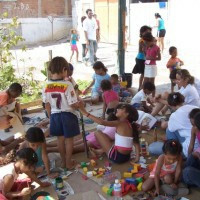 The Bernard van Leer Foundation commissioned CIESPI (International Center for Research and Policy on Childhood) to study opportunities and challenges presented by the Foundation’s three new goals – reducing violence, improving the physical environment and scaling early learning – in low-income communities in urban Brazil. This article is a summary of their report. As well as a wide variety of reports, documents, and news stories, for this research CIESPI carried out an in- depth examination of the situation of young children in two low-income communities in Rio de Janeiro: Rocinha and Bangu. This involved interviews and focus groups with neighborhood residents, youth, service providers and public officials. We chose Rocinha and Bangu because they are significant low- income communities, and also because they illustrate some important differences among low-income communities. While young children in Brazil’s low-income communities face many of the same challenges, low-income communities differ from each other in ways that impact children’s life chances. Rocinha is the largest low-income community in Brazil. Bangu is a more moderate-income community with some low-income sub-sections (Nova Alianca, Vila Alianca and Minha Deusa, and a poorer area within Minha Deusa called Beira Linha) which we chose for the study because they are on the periphery of the city, forty kilometers from the center. The study included a representative range of environments from the partly planned to the worst of unplanned shacks. This article discusses in turn the relevance of the Foundation’s three goals – improving physical environments, reducing violence, and scaling early learning – in these communities, and in low-income urban communities in Brazil more generally. For each goal, the context is described and some priorities and opportunities identified. It is important to note that the three topics overlap in many ways. Violence and poverty affect many aspects of life in Rio’s low- income communities, and relief from these basic problems would improve the overall life chances of young children. Before addressing the three goals in turn, it is helpful to bear in mind some overall challenges and opportunities. In general, there is a stark contrast in Brazil between the comprehensive and detailed rights for children guaranteed by the 1988 Constitution and the 1990 Statute on the Child and the Adolescent, and the implementation of those rights in the lives of children in low-income communities. In a sense, the challenge is implementing rights that already exist. This challenge is exacerbated by the fact that there is little tradition of public policy advocacy and monitoring in the non-profit sector in Brazil, because of the long years of oligarchic and dictatorial rule. This includes lack of any tradition of public access to detailed, line-item public budgets to see whether funds are being spent as planned. A key opportunity therefore is better monitoring of the public sector to persuade the different levels of government to fulfill their responsibilities under the law. Better monitoring relies on a number of tools. These include regular output of reliable data that can be thrust into the public debate, and local activism to draw public attention. Local activism in turn requires strong and honest local non-profits that connect in networks to amplify their voice and effectiveness. There is a growing practice of forming non-profit networks to press for change. At the local level, however, these networks are chronically short of resources, and often lack the technical tools to collect the kind of evidence needed to make their case and to present it in ways that gain the attention of the appropriate public bodies. They would benefit from technical assistance in areas such as public budget analysis and advocacy. The presence of effective community organisations can make a big difference in the lives of low-income communities, especially in providing childcare. But such community organisations need help to tap public and private funds. Amplifying the local residents’ voices inside and outside their community – and promoting fair-minded media coverage – is also an important opportunity, especially to tackle the problem of discrimination against the poor and the non-white. Looking at wider structural issues, about 50% of Brazilian workers work in the informal sector, where they lack the basic protections of a minimum wage, anti-discrimination rights, and access to a public pension. Some economists argue that changes in the tax system to reduce employers’ tax on employment would bring many people in the informal sector into the formal sector, with many benefits to low-income workers and their young children. Finally, Brazil andRio in particular are currently in the international spotlight because of the 2014 World Cup and the 2016 Olympic Games. A great deal of infrastructure investment is planned for these events. Community groups and coalitions could draw up an agenda for how the preparation for the events could be shaped to permanently benefit the residents of low-income communities. The basic characteristics of low-income communities in Rio de Janeiro and elsewhere in urban Brazil are that most of them are unplanned and built without any reference to building codes. As a result they are poorly constructed, often lack basic urban infrastructure, and are overcrowded, dangerous, and unhealthy. Many of the home floor plans are as small as three by three meters, and in the hillside communities may get no sun or ventilation throughout the day. Recently, after heavy rains in Rio, two hundred people were killed instantly in one low-income community by a mudslide that engulfed their homes. The community had been built on a garbage dump. All our correspondents were clear that there are no places in the low- income communities that are healthy and safe for young children to play in except for inside some educational and religious institutions. All the other places where young children actually played were unhealthy and dangerous. The few paved streets are garbage ridden and contain open sewers, and the homes have illegal electric transmission wires hung over the flat roofs where children play. These conditions produce high rates of respiratory disease, tuberculosis, leprosy and injuries. There is a massive underinvestment in primary care facilities, and children go untreated until their health conditions become severe. Highlight and act on the inter- relationship between the environment and health. A treated child often returns to a home that was the source of the health problem. Act immediately on the largest threats to health namely the lack of safe water, adequate sanitation and garbage disposal. Remove the residents of the most dangerous communities, such as the Beira Linha, to publicly subsidized housing. Develop, if necessary, and start to enforce basic safety regulations especially in relation to illegal electric wires, bus safety, and traffic violations that are life threatening. Use local groups and networks for education and training to help women who wish to avoid unwanted pregnancies. Give local resident groups the necessary technical assistance to develop strategies for holding the municipality accountable for the poor state of local services. Promote policy development and policy activity to improve low- income communities in connection with capital expenditures for the 2014 World Football Cup and the 2016 Olympic Games, which are to be held in Rio de Janeiro. Ensure that the current urban renewal schemes take into account the range of residents’ concerns. Existing official and voluntary networks could be strengthened to promote low-income communities’ agendas with the municipality and the state. The way parents with young children use the extensive public health programme just starting in Rocinha could be compared to the experience of parents in the majority of favelas with poor access to primary care. This comparison would help make the case for extending the programme. Violence pervades many aspects of life in low-income communities, including commerce, education and simple daily tasks and routines. The violence in Rio favelas was captured in the film Cidade de Deus (City of God), although some residents and critics argue that the film exaggerated and ritualized the violence in the community. As the research evidence mounts that early exposure to violence influences adult behavior and impacts early brain development, it becomes imperative to chart the reality of violence in low-income communities and to suggest ways in which it could be reduced. In Rio, community level violence has four major sources: the drug traffickers who control a number of the low-income communities; the informal militias composed of off- duty policemen who have organized themselves to oppose the traffickers but who inflict their own violence on people who oppose them; the “groups of exterminators” (grupos de exterminio) who kill for hire; and the various police forces who until quite recently “invaded” the low-income communities, killing indiscriminately. They did this when the favela violence spilled out into middle-income neighborhoods. In Brazil, the risk of adolescent males being victims of homicide is 12 times higher than for adolescent females, and the risk for non-white adolescents 2.6 times higher than for white adolescents.3 While the homicide rate is very high for adolescents, it is twice as high for people in the nineteen to twenty-four year age group. The risk starts to diminish notably only after age 30.4 In addition to the violence in the streets, community leaders report high rates of domestic violence. Recently, unprecedented cooperation between the federal, state and city governments produced the first ever scheme to bring regular order to a few favelas. The scheme is called UPP, or police peace-keeping units, and involves a heavy “invasion” to chase out drug traffickers followed by systematic attempts at community policing, While the scheme is currently only operational in eight of Rio’s over 1,000 favelas, it has been received with cautious optimism by residents and has produced some striking indicators of success. The UPP pacification project is the largest sustained and broadly community oriented police action to stem violence in recent history. The programme needs to be extended to more communities and its integrity protected by preventing corruption in the new community police forces. Even very young children are leading lives heavily circumscribed by violence. One key to reducing the impact of violence on their lives is constructing and protecting safe places in the community where they can play outside of their homes. Violence inside the home is the result of a mix of pressures on parents. Relieving some of the pressures on parents caused by the challenges of living with a low- income is likely to give parents more energy for effective childrearing. Community mothers would like a physical space where they could talk to each other and to wise reference people about their children and get some guidance in raising them. In low-income communities, families rely heavily on public services. But many of these services are grossly inadequate. Resident leaders would welcome assistance to organize decent services more effectively. A more open discourse about physical and sexual abuse and more resources for helping abused women would help more mothers cope with these problems. The public health authorities are particularly concerned about the rapid spread of crack cocaine among young people, particularly street children. There need to be continued attempts at more effective prevention and treatment strategies. O Sistema de Garantia de Direitos de Crianças e Adolescentes (System for Guaranteeing the Rights of Children and Adolescents) is a public/ non-profit/individual structure for guaranteeing the rights of all children. There is a great interest in implementing this system among key judicial and political actors. If crèches and pre-schools could access more support for e.g. out of the home activities for children and their parents, more children would spend more time in stimulating and safe environments. Parents can access such opportunities directly from the churches and other existing non- profit organisations. Supporting those programmes to become more effective and stable (including improving the management skills of their leaders and their ability to attract public and private sector grants) would in turn increase their ability to help families with young children. The public and private sector attempts to turn half-day schooling into full-day programmes for older children is, in the opinion of residents, likely to reduce violence on the streets as growing children are given alternatives to hanging around on the streets. Remnants of community and sports centers in low-income communities still exist from prior administrations, although many of them are deteriorated or even closed. Renovating these facilities with some attention paid to programming for young children and their parents would provide more opportunities for these children. Parents in low-incomes families in Brazil are likely to have had a low level of education. While rates of basic as opposed to functional illiteracy have been declining rapidly, low-income populations still have low levels of years of schooling. However eager parents are to see their children succeed, they may not have the resources and knowledge to maximize their children’s development by effective practices in the home. Long commutes to work on very inadequate public transportation also mean that some parents only see their children at the weekend. While there is increasing interest, and indeed a federal mandate, to provide pre-school education to all in Brazil, few of our respondents talked about the earliest years of life when most infants and young children stay at home. This lack of information or even interest in the infant years may reflect a premise that child development strategies and programmes are only relevant to children three years of age or older, or a lack of knowledge or interest in strategies to assist younger children. 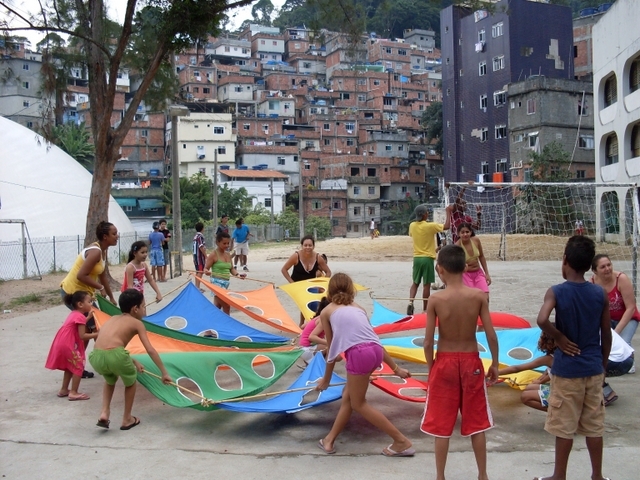 While only a few parents can afford the cost of private crèches, the municipality of Rio provides grants to some private crèches to subsidize poorer children. Some of our respondents saw a huge difference in quality between public and private crèches and pre-schools, based in part on the fact that private facilities may have a staff student ratio of 1-15 compared with as few as 1-40 in the public sector. There are also serious concerns about the quality of early childhood facility staff. Both public and private facilities report serious difficulties recruiting and retaining trained staff. Parents are the key to young children’s development and many parents in the favelas struggle against harsh odds to maximize their children’s development. But some are overwhelmed by life in the favelas or have succumbed to drug abuse or depression. A number of non-profit and public organisations provide cultural, educational, and leisure programming for young children, but these groups have very few resources and simply cannot meet the demand. Articulate more strongly the importance of developmental strategies for the earliest years, zero to three. Recruit and retain trained teachers in the poorest neighborhoods and offer appropriate incentives for working in low-income schools. In the new federal Administration which will follow the October 2010 presidential elections, maintain the priority of providing enough whole day crèches for every child whose parents want a place. Promote more effective monitoring of the quality of early education. Monitor the new teacher training programmes to ensure that they result in more effective education in the classroom. 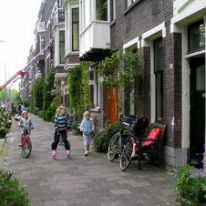 Develop safe recreational places in the community for very young children and their caretakers. Establish a new openness and non- profit sector interest in the key tool of monitoring public budgets against mandates and programme plans for very young children. Improve public transportation because poor transportation increases the difficulty of getting parents, children and staff to and from early childhood facilities, and parents to and from work. A community rich in non-profit helping, cultural, social, and religious organisations makes it easier for families to cope with the day to day demands of child rearing. These programmes can be a source of regular, safe and developmentally useful activity for very young children. Structural changes such as better transportation and the inclusion of more workers in the formal work sector with its attendant benefits would have large impacts on the residents of low-income communities. The laws and the plans exist for the extension of crèches and pre- school to all children. The keys to the implementation of existing plans is to develop through existing networks and coalitions the nascent tools of monitoring and advocacy to discover what is planned, what is happening and to press for full implementation of the mandates. Observatorio de Favelas. Indice de Homicidios na Adolescencia: Analise Preliminar dos Homicidios em Municipios Brasileiros com mais de 100,000 habitantes. In partnership with Programa de Reducao da Violencia Letal Contra Adolescentes e Jovens, UNICEF, Secretaria Especial dos Direitos Humanos, 2009.
http://en.wikipedia.org/wiki/List_of_countries_by_intentional_homicide_rate Downloaded on May 5, 2010 . This entry was compiled from a large number of sources. Observatorio de Favelas. Indice de Homicidios na Adolescencia, 2009, p. 33-34. See, for example, ABMP (Brazilian Association of Magistrates and Promoters of Justice). Cadernos de Fluxos Operacionais Sistemicos. Proteçao Integral e Atuaçao em Rede na Garantia dos Direitos de Criancas e Adolescentes, 2010 (Comprehensive Protection and Implementation in Networks for the Guarantee of Rights for Children and Adolescents). Conselho de Desenvolvimento Economico e Social. Retrato das Desigualdades na Escolarizacao e no Sistema Tributario Nacional, Brasilia, 2009, p. 19. See, for example, Nikita Tolani, Jeanne Brooks-Gunn and Sharon Lynn Kogan. Parenting Education for Poor Young Children: a Cross-National Exploration. Paper presented to the unicef/New School International Conference, New York, October 23, 2006. For a comprehensive discussion of these issues see Deborah Ghate and Neal Hazel, Parenting in Poor Environments: Stress, Support and Coping,London: Jessica Kingsley Publishers, 2002.